Wipro Kawasaki Precision Machinery has set up a new manufacturing facility in Bidadi near Bangalore in Karnataka. The company is a joint venture between Wipro Infrastructure Engineering, which holds a 49 per cent stake, and Kawasaki with 51 per cent. It will manufacture hydraulic products like hydraulic pumps and motors and has production capacity of 40,000 units per year. 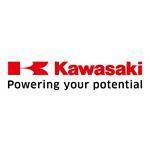 It may be noted that, Wipro Kawasaki has initially commenced production in December 2012 in a rented facility.